I mean, it's pretty much exactly what it says on the tin, mate. 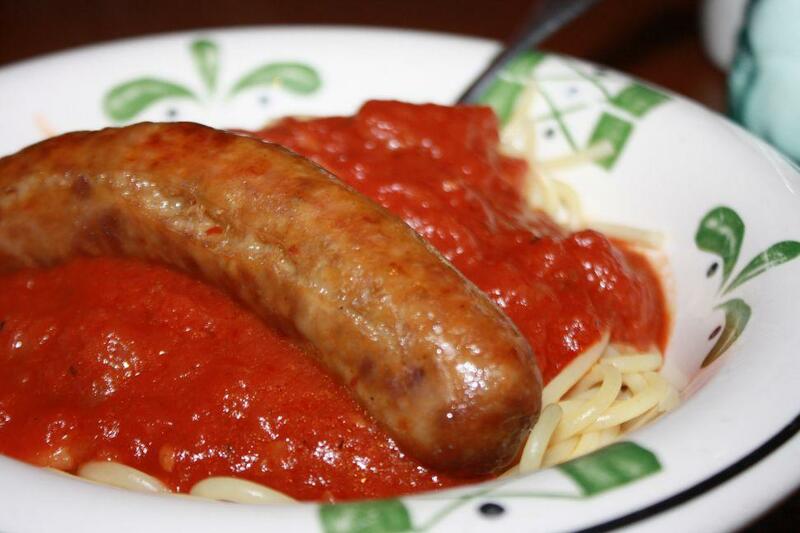 Pictured here is Spaghetti & An Entire Sausage. What?